In the past few weeks, PlayStation 4 owners have been able to try out Monster Hunter World before release thanks to two beta testing phases, and soon enough they will be able to try out even more content in the third open beta, which will be held from January 19th until January 22nd. A few hours ago, Capcom revealed some additional details on the beta. According to the Japanese publishers, it will be possible to pre-load the new beta client from January 18th t 6:00pm PT/9:00pm PT and January 19 at 2:00am GMT/3:00am CET. The client will be around 5.5GB big. Additionally, Capcom also confirmed that all those who complete quests in the beta will be rewarded with items that can be used in the full release. Last week, Capcom talked about the third Monster Hunter World beta as well as post-launch support plans. Also confirmed today is a final beta planned for all PlayStation 4 users which will begin in Europe on January 19 and will go through January 22. 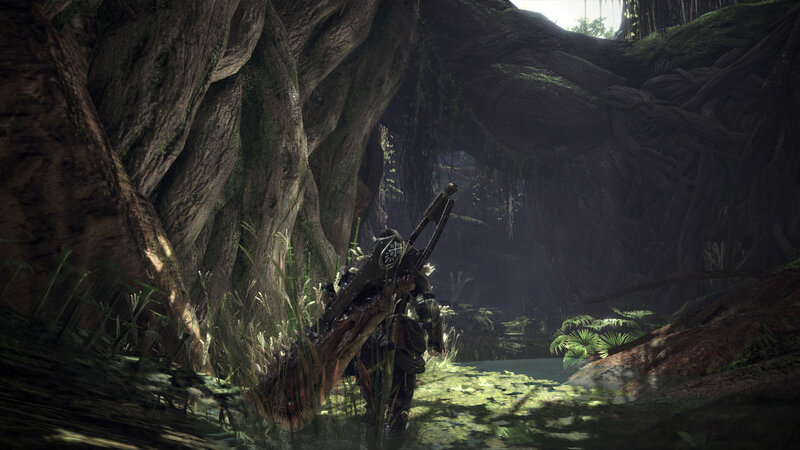 In addition to the previously released Great Jagras, Anjanath and Barroth quests, players will now be able to battle against the game’s terrifying and challenging flagship monster Nergigante. Finally, Capcom today confirmed that there are plans for post-launch support of Monster Hunter: World with regular content updates, as well as major title updates for free. The first major title update will be coming in Spring 2018 which includes the addition of the fan-favorite monster Deviljho. Players will be able to put their hunting skills to the test against this brute. The Deviljho must feed constantly and will devour anything in its way, even feeding on the largest of monsters with its massive jowls. This wild beast really is one for only the bravest of hunters to take on. Monster Hunter World launches later this month on PlayStation 4 and Xbox One. The PC version has yet to be dated.